Pros The game has never looked better	Cons Touch controls are occasionally unresponsive at the worst possible time. 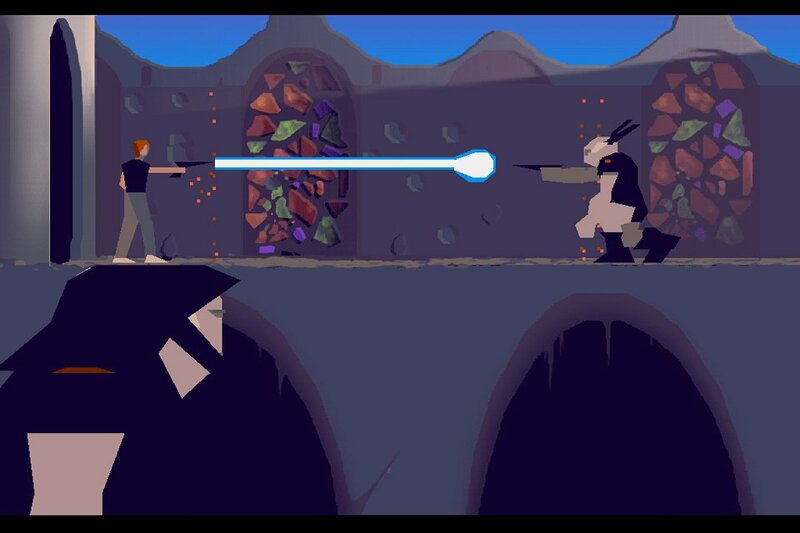 Another World – 20th Anniversary is a re-release of an old classic, dusted off and revitalized just for iOS. Also known as Out of This World, the game was released on more than a dozen platforms since 1991 and has been hailed by players and critics alike. It was ahead of its time in graphics and gameplay. The real question is, does it stand up on the new iPhone app platform? In Another World you play the character Lester Knight Chaykin, a young Ferrari driving physicist with an underground laboratory, working on an in depth particle accelerator experiment. After arriving to your lab during a thunderstorm, lightning strikes the laboratory and causes a Lester to teleport to an unknown alien planet. Now he must face deadly environments and wild alien creatures to survive. This 20th Anniversary version definitely replicates the original, only better. The graphics have been updated to HD while still keeping to the original simplistic geometric style. Though if you are feeling nostalgic, there is an option to play with original graphics. Sounds and FX have been remastered and there are multiple options including 3 difficulty modes and classic or new intuitive touch controls to play. It has support for 5 languages and integrated Game Center to unlock achievements. The storyline is just as exciting as it ever was but built for a new generation. Though amazing, this cinema action adventure game is not as easy as it seems. Expect to die multiple times and use a lot of brain power to get yourself through the challenging levels. The touch controls are great, but can miss at times when you are in a crunch. Seeing as many of the situations require exact accuracy of the character, this can cause a bit of frustration, especially for new players not familiar with the game. There are checkpoints to help you out, but having to replay obstacles over and over can get old fast. If you can sustain the trials and errors, you are in for a splendid adventure that is truly like no other. 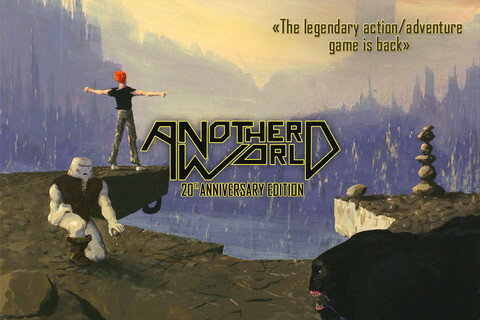 Another World – 20th Anniversary is a wonderful revamped return to a cult classic. With teleportation, deadly earthquakes and alien monsters, what’s not to love? You can get this action packed universal app for $4.99 in the App Store. This review originally appeared on The Smartphone App Review (October 08, 2011).